The Glitzkoin diamond blockchain project makes a direct connect to the diamond industry but, it has attracted a large following – far beyond the multibillion dollar industry. We’ve come a long way and we are fully aware that, our success is directly related to yours. Project promoter and second generation diamond veteran Navneet Goenka, has developed a voracious appetite for technological innovations. The Glitzkoin project was conceptualized after a thorough study was conducted to explore, how the powerful features of cryptos and blockchain could be harnessed to improve the diamond industry. First diamond blockchain to be promoted by a veteran from inside the multibillion dollar industry. Focused on improving productivity and market scope, for the industry. The Glitzkoin ICO was successfully completed in June 2018, the GTN was priced at $0.20 during the ICO. The GTN token was listed on the Stellarport exchange in July 2018, negotiations are on to list it on additional exchanges. Discussions have been finalized, to list the GTN token on DOBITRADE, this is a high volume, high traffic exchange. Includes a comprehensive blockchain based, diamond trading platform – DiaEx. This supports both B2B and B2C trade. The trading platform restricts diamond listings to natural and certified diamonds – no synthetics and no fakes. Traders interact directly with the platform, no brokers and no middlemen. The project includes a crypto GTN, the token is the designated mode of payment on the DiaEx platform. Glitzkoin recognizes two key stakeholders in the project – the crypto community and the diamond industry. Ongoing efforts are geared towards, increasing usage (demand) for the GTN token. Token launched as part of the Glitzkoin diamond blockchain project. Priced at $0.20 during the Glitzkoin ICO which was completed in June 2018. Listed on the Stellarport exchange in July 2018. Additional exchange listings to be announced in 2019. The GTN continues to perform impressively and by March 2019, it has added around 50% to its ICO closing value. It is currently trading in the $0.30 to $0.34 range. The crypto community continues to support the project even after, the completion of the ICO. The DiaEx diamond trading platform, uses the GTN token as the mode of payment. Besides gaining demand from crypto traders and diamond traders, the GTN token is equipped to draw demand from one other source. The Myticket.asia and Glitzkoin partnership is just one effort to have, businesses accept the GTN token as a mode of payment in their operations. The Glitzkoin project and GTN token have drawn considerable interest. The amazing thing is that, a significant number of GTN token holders come from non-crypto and non-technical backgrounds. Crypto enthusiasts are beginning to understand that, a successful project would need more than a crypto token to make progress. The fact that Glitzkoin is directly linked to a real world business (diamond industry), has impressed even serious crypto analysts. The best way to invest in crypto markets today, is to carefully review projects and spread your spend. High priced cryptos need not always translate into a higher potential and modestly priced cryptos, need not necessarily be worthless. 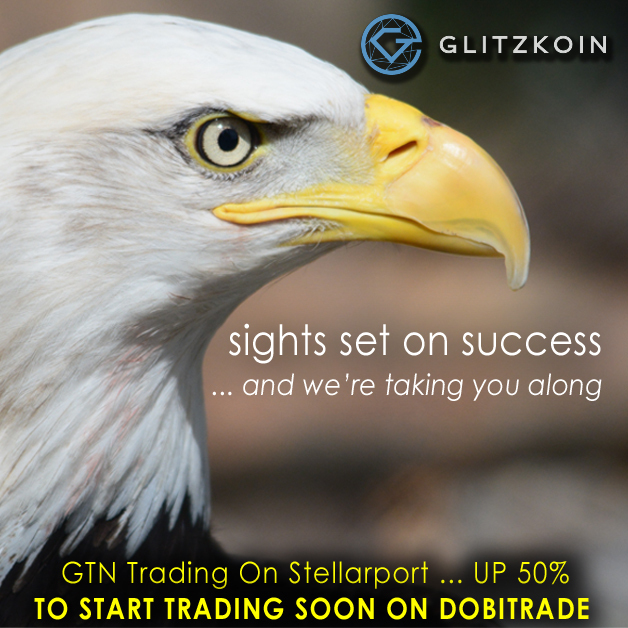 The Glitzkoin GTN token is currently trading at around $0.30 and this price point, packs a 50% appreciation when set against the $0.20 ICO closing price for the token. The resources placed below, provide detailed information related to issues and highlights that we have mentioned in this report.